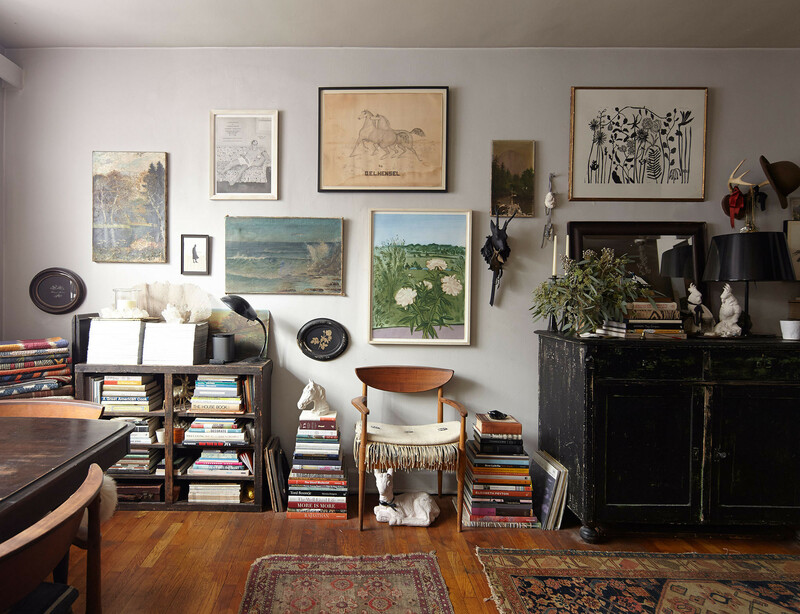 The main living area of Ann Stephenson and Lori Scacco's East Village studio, filled with meaningful art, books, textiles, and objects. 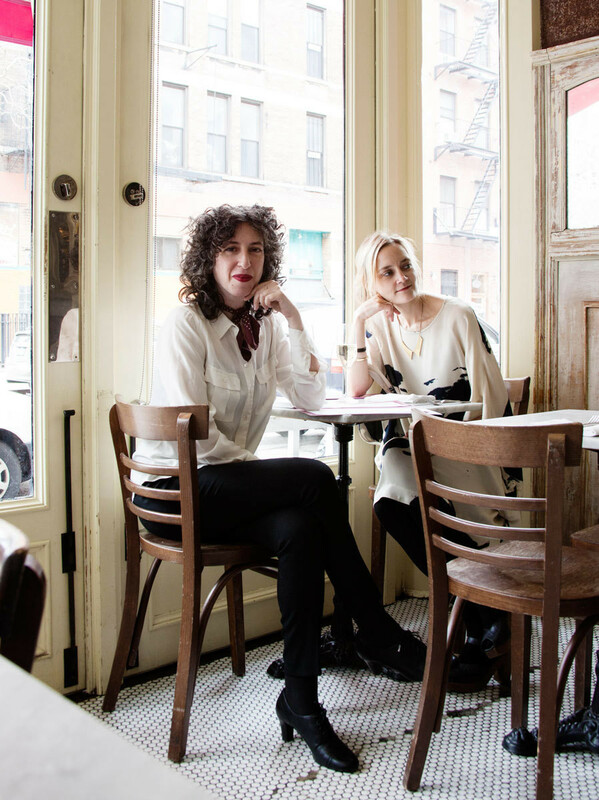 Lori Scacco (at left) and Ann Stephenson at the East Village restaurant Prune. A vintage loveseat gets a hit of texture from throw pillows fashioned out of antique rugs. 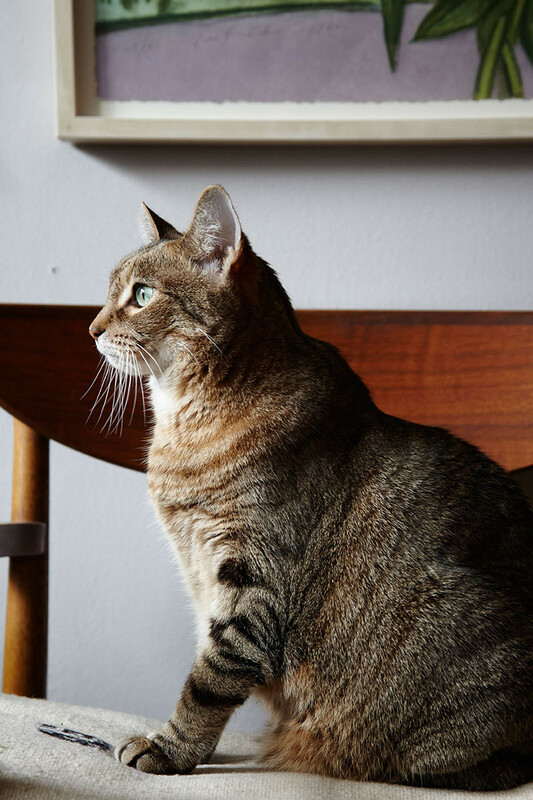 Fourteen-year-old Harvey the cat ("the love of our lives," says Stephenson) shows off his side profile. 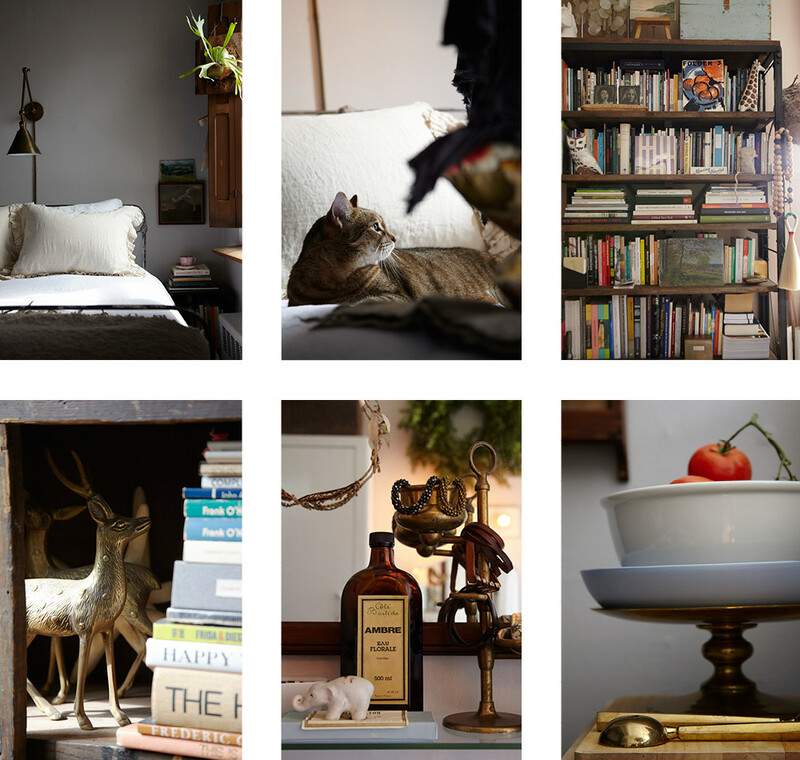 Stacks of books are evocatively set throughout the studio apartment. "The animal figures speak to our love of fauna, and we tend to have a bit of a menagerie," says Stephenson. A home that holds beauty and meaning above all else seems appropriate for the pair, both of who spend their days surrounded by exceptional items. Stephenson works at the design house Aesthetic Movement, where she is the sales director, while Scacco oversees Donzella 20th Century, the longstanding art and furnishings resource in Tribeca. In their off hours, each pursues her own creative endeavors, from music (Scacco) to poetry (Stephenson). 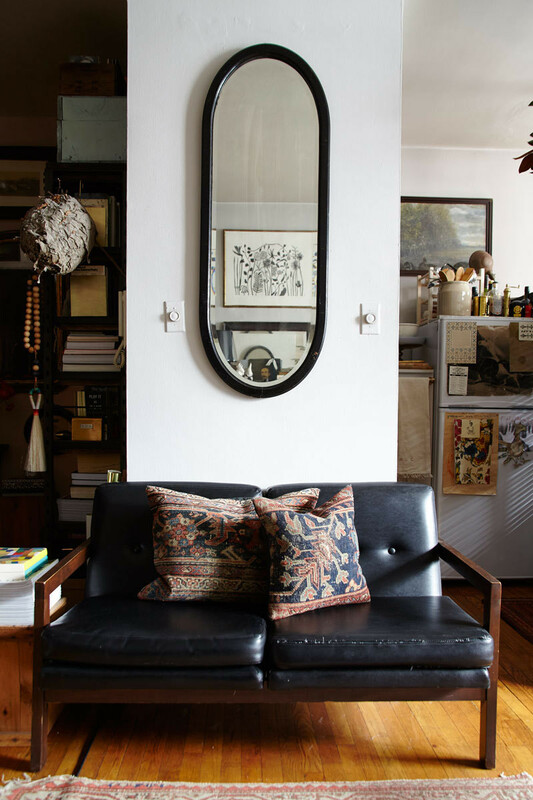 The result is a home satisfyingly filled to the brim with art, antiques, and ornament—richly colored textiles stacked here, exotic baubles strung there—that offers up a portrait of those who live there, rendered in objects. 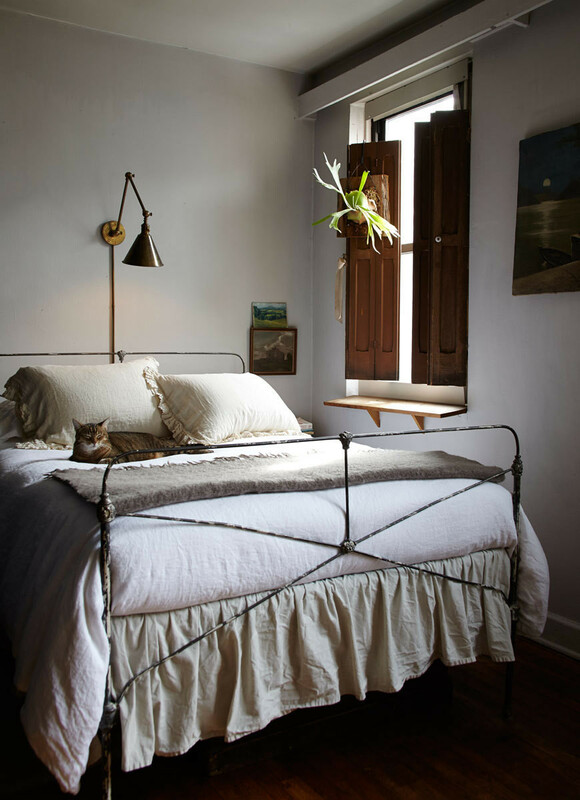 A sun-dappled corner of the studio becomes a cozy bedroom. Artworks include (from far left) a drawing by Jody Fausett; a painting gifted to Stephenson by Scacco; and a braided horsehair piece by artist Kim Phillips. As most New York City residents can attest, the surrounding metropolis is merely an extension of often-limited living space. From gathering with friends at nearby restaurants to sitting among the stacks at Mast Books to listening to local poets at the Poetry Project at St. Mark’s Church (says Stephenson, “You can drop by this important institution and hear readings on most nights, and leave with a newly discovered book of poetry that will change your life”), the couple has far more than 370 square feet to call home. “Most of our socializing is done out and about. 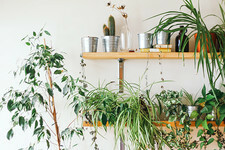 This is where we nest and retreat from the city,” Stephenson explains. 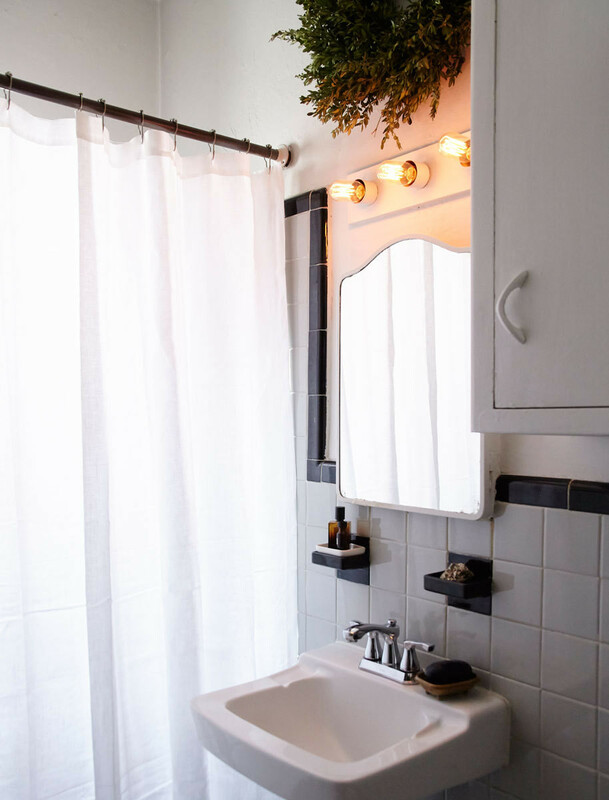 The bathroom is painted in Benjamin Moore's China White. 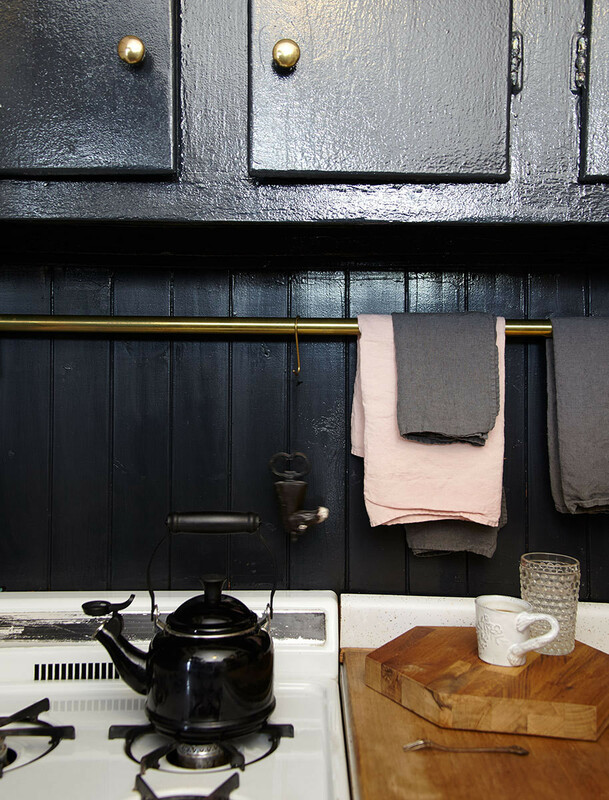 The kitchen is clad in Farrow & Ball's Off Black. 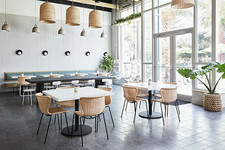 "I have a connection to well-designed objects and materials that hold a sense of story," says Stephenson.